During your stay in Brindisi or in any location in Puglia or if you get to Brindisi by cruise or private boat, you can make half-day or full day sightseeing tours in Apulia, by putting a car at your disposal, together with one of our experienced English-speaking drivers, who know the territory and who will guide you in these magic and fascinating places where you will admire panoramic views, historic cultural landscapes, itineraries to a land of ancient history. 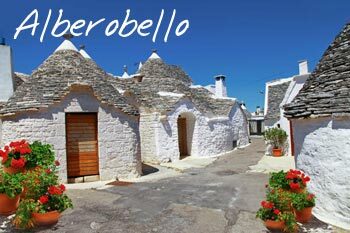 Here below there are just a few examples of sightseeing tours in Puglia, but you can write to us in order to customize your tour according to your requests; we can also provide you with an official guide who will accompany you in these amazing and fantastic places and will explain all their nuances to you. Please contact us to customize your trip to Puglia. We will be glad to give you all the suggestions to spend an unforgettable holiday in Puglia. 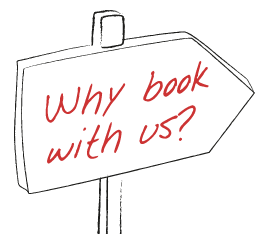 You can choose and get a quote of your tour by filling in our form at the top of this page, by choosing your pick up location, the number of passengers and the tour. 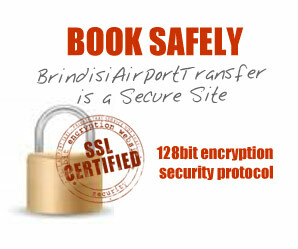 The system will provide you with a quotation and, by clicking on BOOK, you will be redirected to a page to enter some information. Leave the vessel and set off with us to discover Brindisi whose origins date back to the sixteenth century BC with a panoramic tour by coach. The first stop will be at the church of Santa Maria del Casale, in Romanesque-Gothic style and dating back to the thirteenth century. Located 2 km from the city centre and classified as a national monument since 1875, the church is characterized by a façade with ornamental designs in two colours (grey and yellow) and boasts some splendid frescoes of the fourteenth century. After the visit you will return to Brindisi where, after having left the bus, you can explore the centre on foot. The starting point will be the two Roman columns (of which today only one remains intact) leading to the city Cathedral, where the weddings of King Ruggero II and his son were celebrated. Continue along the streets of the historic centre along a route that includes the Church of St. John at the Sepulchre, often referred to as baptistery for its circular shape, the archaeological site of San Pietro degli Schiavoni has elements of the Roman town and the Teatro Verdi opened in December 2006. You will have free time to discover the modern part of the city before returning to the ship. Leave the port for a transfer of about 40 minutes south of Brindisi, heading to Lecce, also known as the "Florence of the South", for its rich history, art and culture as a result of the numerous dominations over the centuries: Roman, Greek, Norman and Ostrogoth. An interesting sightseeing tour of the city will allow you to discover some of its most sublime baroque treasures. Walk along the streets of the centre of Lecce, the wonderful Piazza Oronzo in the heart of the impressive Roman amphitheatre, the Church of the Holy Cross, whose construction lasted for over 345 years and that was completed only in 1695, at the Castle of Charles V from the mid-16th century. 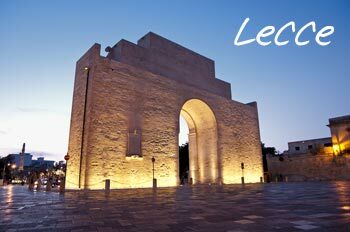 Lecce will charm you with its stunning Baroque architecture, its buildings, its churches and its squares, including the magnificent Cathedral Square in the city centre. Carry your camcorder or camera to capture fascinating sights for your scrapbook. Before returning to Brindisi you will have time to freely explore the city or to buy a souvenir. Located on the plateau of Murgia, the "White City", as it is also known for the characteristic white colour of the buildings located in the old town, it is the final destination of your half-day excursion. 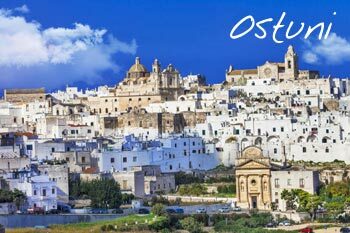 Ancient Greek-Roman colony, Ostuni is built on three hills and will charm you with its picturesque old town, its narrow streets and its monuments. Walking through the city you will admire the Baroque architecture in the least expected places, the obelisk of about 21 meters dedicated to Sant'Oronzo, and the Cathedral, symbol of the town, with its late Gothic facade. Your guide will tell you about the "Woman of Ostuni," the skeleton of a woman and of her unborn child dating back to 25,000 years ago, found in 1991 in perfect condition. But Ostuni is not only art and culture. A transfer to a local mill will also let you know one of the excellences of Puglia, the olive oil. Before returning to Brindisi you can taste some local products. Get on a bus at Brindisi port for an hour’s trip through the Apulian countryside heading to Alberobello. For its characteristic houses in dry stone (i.e. without mortar) and with cone-roofs, called "trulli", the city was declared a World Heritage site in 1996.